Winter got you down? Well, here's a way to add some sugar to the cold, dark days: Snowman Cupcakes! 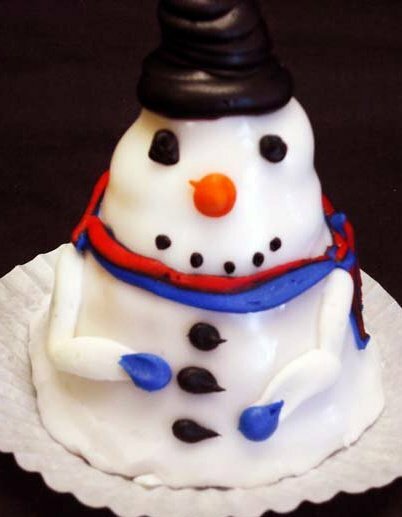 Snowman-ify the cupcakes of your choice with this super-easy tutorial from Philadelphia's Bredenbeck's Bakery--not only is it easy, but it's fun and delicious when you're snowed in. Wrap a few pieces of shoestring licorice around for a scarf, create a face, nose and buttons using the black gel icing and candies. Of course, if you make them, share your pictures with them on the Bredenbeck's Facebook Page for sweet snow day fun!